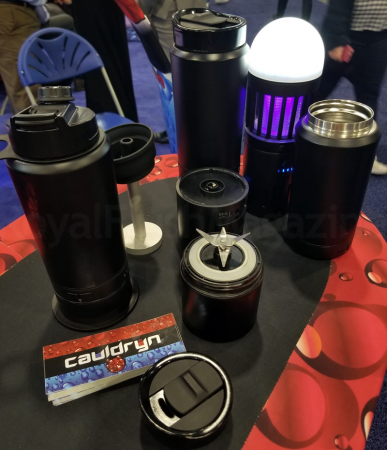 During CES 2018, I was introduced to Cauldryn™; a beverage bottle that features a modular design which increases its utility. Available in two different models, the Cauldryn™ Fyre™ and Cauldryn™ Fyre™ Mobile, both offer a 16-ounce, stainless steel, vacuum-insulated bottle with lid and the revolutionary Fyre™ heating element. The Cauldryn™ Fyre™ Mobile model includes Cauldryn’s proprietary rechargeable battery. The Cauldryn™ is designed to boil or brew liquids as well as maintain them at a YOUR selected temperature ALL DAY. The Fyre™ heating element attaches to the bottle and has four different heat settings—Hot, Extra Hot, Brew, and Boil, allowing the contents to reach up to 212 degrees. The Fyre™ heating element can also run directly from either an AC or DC power source using the included AC base or optional DC base for an unlimited boil, brew, high heat, or drink cycles that offers circuitry protection from over current, short circuit, overcharge, over discharge. Announced at CES, Cauldryn™ Fyre™ is partnering with Google Assistant to add voice activation capabilities. This will allow users to tell their bottle when to turn on and off, as well as what temperature you’d like your hot beverage. 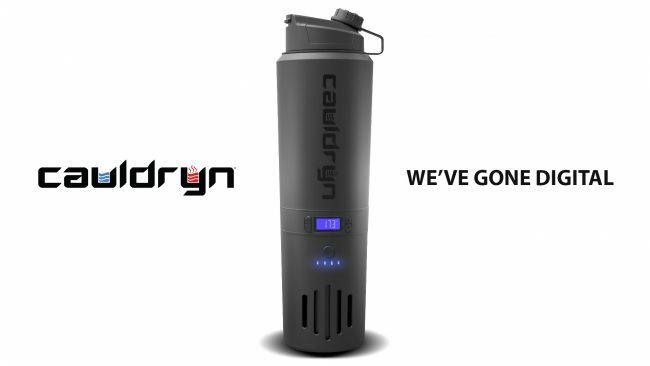 The Cauldryn™ Fyre™ system will forever change the way you consume hot beverages. Using its revolutionary Fyre™ heating element, you now have the power to boil or brew liquids and maintain your favorite temperature all day with just the click of a button. The rechargeable battery is the only power you need to bring 320 F, liquid water to boil. With Cauldryn™, a boil is just a click away.